Edwin C. Barnes; Steven E. Clyde; Robert D. Andreasen; Jonathan S. Clyde; Clyde Snow & Sessions; Attorneys for Appellees. John H. Mabey, Jr.; David C. Wright; Mabey Wright & James, PLLC; Richard T. Waddingham; Waddingham & Associates; Attorneys for Appellants. 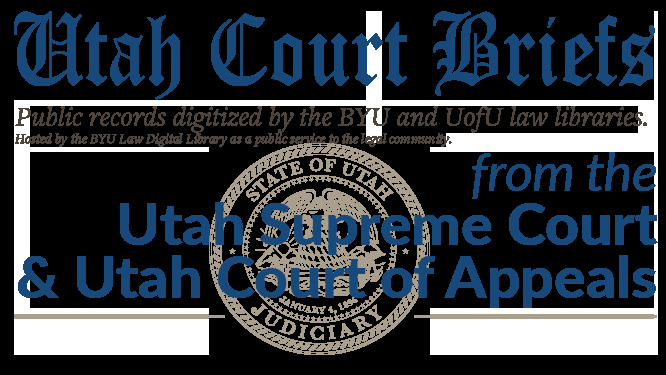 Brief of Appellee, Delta Canal Company; Melville Irrigation Company; Abraham Irrigation Company; Deseret Irrigation Company; and Central Utah Water Company v. Frank Vincent Family Ranch LC: Brief of Appellee, No. 20120470 (Utah Supreme Court, 2012).